It was reported yesterday that Ajay Devgn is all set tto play a squadron leader in his next film, Bhuj: The Pride of India. The movie will be produced by T-Series and Select Media Holdings LLP. Now we now the FULL cast of the film. 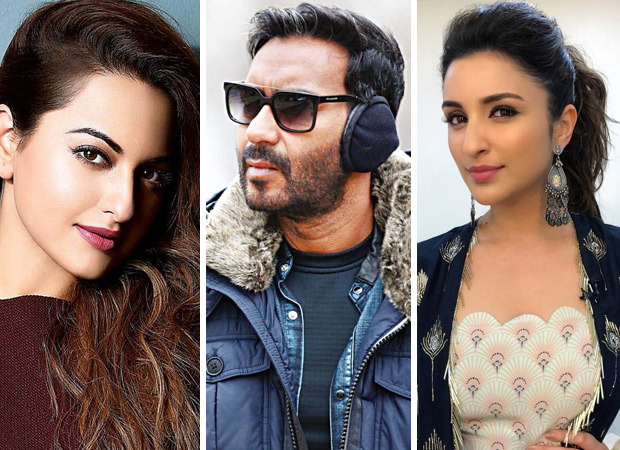 Parineeti Chopra, Sonakshi Sinha, Rana Daggubati, Sanjay Dutt, Ammy Virk have been roped in to play KEY parts in the film.Sanjay Dutt will play Ranchordas Svabhai Ravari who guided the army to help win war by decoding footprints. Sonakshi Sinha will play Sunderben Jetha Madharparya, a social worker and a farmer activist who convinced the other 299 women to help build the runway. Rana Daggubati plays a colonel and Parineeti Chopra will be seen essaying the role of an Indian spy Heena Rehman. Ammy Virk will play a fighter pilot.